Salon artist at ADDRESS, a part-gallery, part-pop-up shop, and part-showroom event, produced by Kate Duncan, a Vancouver-based furniture designer/maker and curated by interior designer Amber Kingsnorth from Māk Interiors. 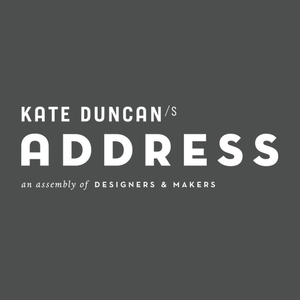 ADDRESS is an unprecedented platform to showcase art and design from some of North America’s most elite designer/makers. It’s “become a go-to for designophiles to spot up-and-coming and established talent in the city” (Western Living Magazine) and it’s not to be missed! 12160 Beecher Street, Crescent Beach, BC.